Welcome to the Mesa! This 3bed/2bath single-level home is located less than 1/2 a mile from Leadbetter Beach and Shoreline Park. This home rests on a ~7,841 sq. ft. lot and has a beautifully fenced in yard with manicured landscaping. Enjoy refinished hardwood floors and dual-pane windows throughout this warm and inviting home. Additional features include: new exterior paint, new roof (2015), central A/C, 200 amp electric panel, formal laundry room, and more! Watch the cruise ships and sail boats glide across the Pacific from the spacious open deck. There is an attached 2-car garage and space for 3 cars on the driveway. This home is located in the desired Washington School District and just a short drive from the Mesa Shopping Center. 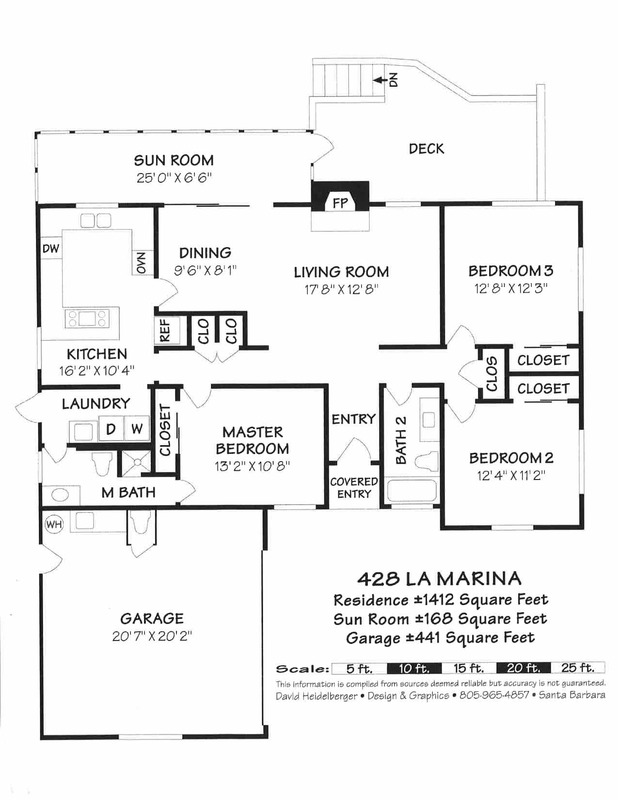 428 La Marina Drive, Santa Barbara, CA (Unbranded) from Mike Richardson, Realtors on Vimeo. House Size: 1,412 sq. ft.